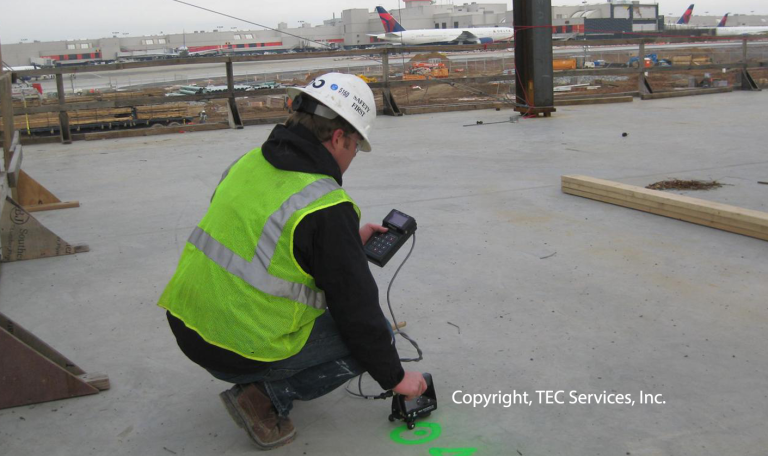 Impact-echo testing is a special form of nondestructive stress wave testing of concrete. The usual method of nondestructive stress wave testing is the ultrasonic pulse velocity technique described in ASTM C 597. ASTM has voted approval on a standard test procedure for the impact-echo technique but it has not yet been published. The test procedure utilizes stress waves which propagate through the concrete with the initiation and sensing of the stress wave being on the same surface of the concrete. The method can be used to determine the thickness of a concrete section, or if there are internal defects or cracks in the concrete. The uniformity of the concrete quality can be evaluated by this procedure.